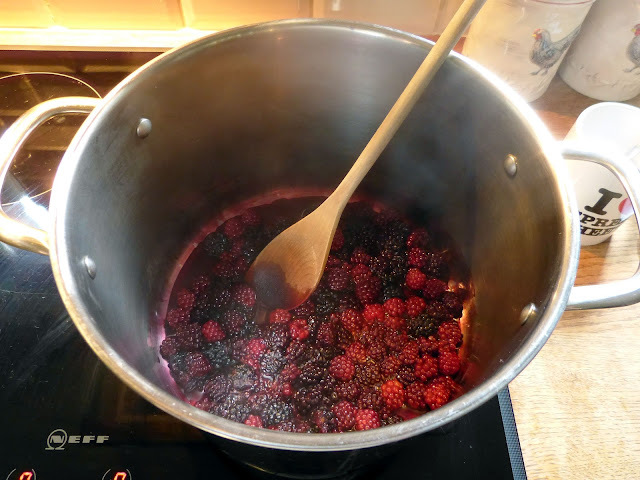 Bramble (or blackberry) jam is one of my favourite things to spread on warm croissants or toast. The hedges are absolutely laden with fruit at this time of year, so why not have an afternoon of hedgerow foraging and make your own jam? 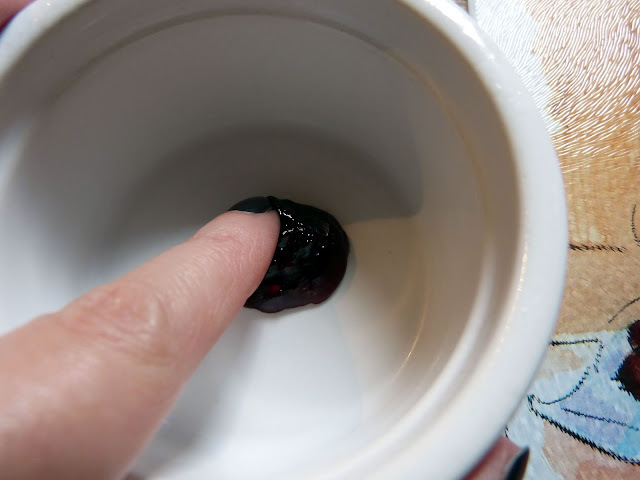 You can buy blackberries (even frozen) from most supermarkets so there's no need to even get your mitts dirty! 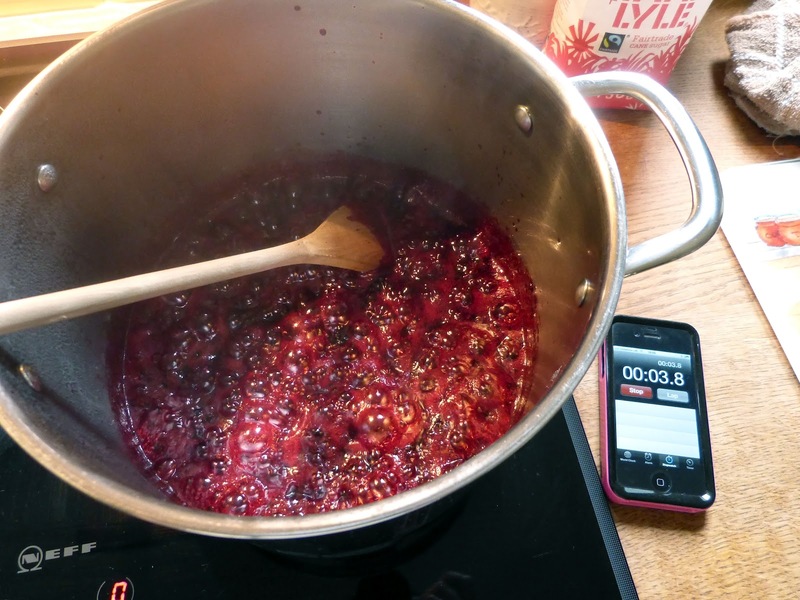 Jam making is something that used to make me nervous - visions of straining and setting points put me right off. But using jam sugar makes the whole thing ridiculously simple. 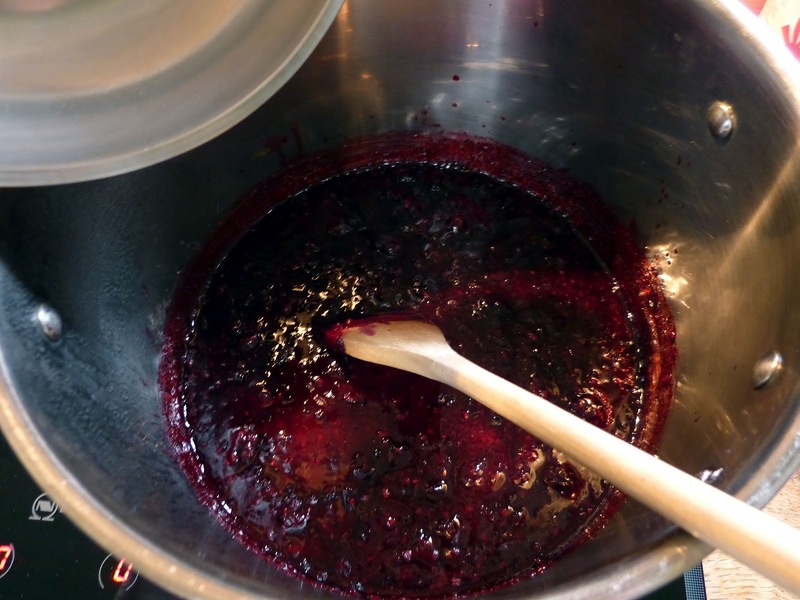 It contains added pectin - a setting agent - so makes your jam setting foolproof. 3. When the fruit starts to break down, tip in the sugar. If you like your jam smooth (like I do) then don't rush this stage, wait until they are virtually mush! 4. Once the sugar is in, bring to a rapid boil and stir regularly. It's like molten lava at this point - do not splash yourself! Et voila! Wasn't that simple? If you're a preserving nerd like me you can even make your own labels - I got these labels from Lakeland. They have lots of great kit for preserving, including jars. I have used these in the past but tend to re-use old jars now. I have even been known to buy a dozen jars of Tesco Value lemon curd and scrape it out so I can use the jars because it's cheaper than buying empty ones! I'd love to know if you give this recipe a go and how your jam turns out. I adored this post, everything about it is so 'country kitchen' right down to the photos. I do love a good natural recipe and am always finding myself fancying making some chutneys and jams. Hello, Rosie sent me this way and I'm really glad she did, love your blog! 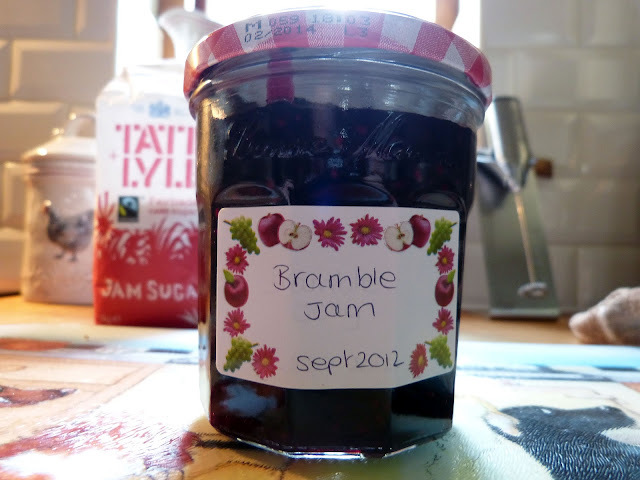 I am one for baking but I've neverr made my own jam because I thought it was too fiddly and hard but I think I will now! (especially as my boyfriend loooooves his jam) so thank you for explaining it so well! might sound like a silly question but how long would you keep yours for (if they don't get eaten in an instant of course)? jam can last for agggess, can't it?